You're coming to Almaty for business and you want to see the town. You're a young traveler and you want to get off the beaten trail. 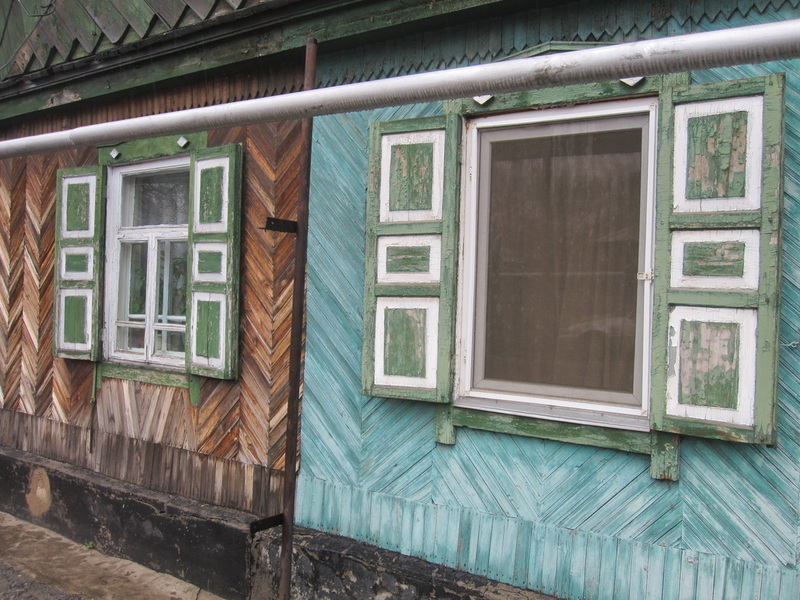 You're an expat living in Kazakhstan, but there's still so much you want to see. 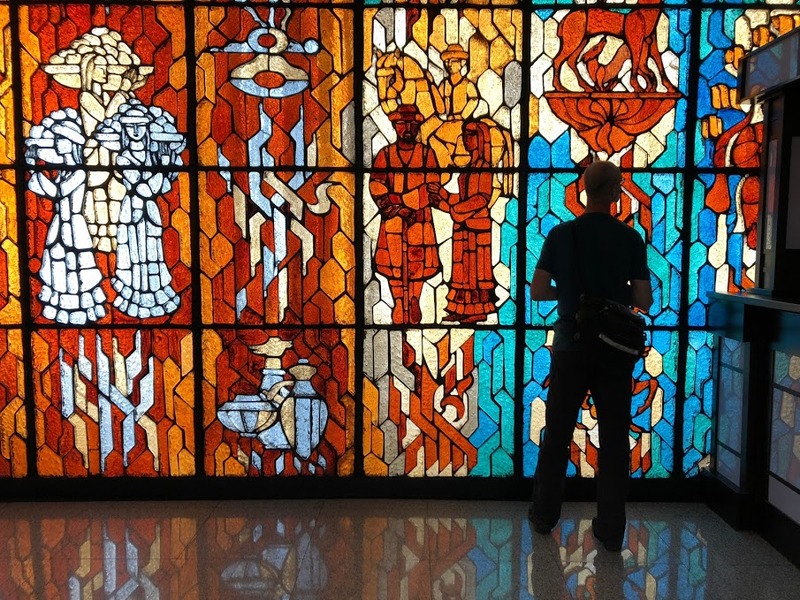 Take a guided tour with Dennis Keen, Walking Almaty's resident urbanist and know-it-all. Since first coming to Central Asia eleven years ago, Dennis has traveled and lived throughout the region, researched traditional culture on a Fulbright Scholarship and received an MA in Eurasian Studies at Stanford University. He even hosts a travel show, Discovering Kazakhstan, on the channel Kazakh TV. Every walk is like a fascinating lesson - don't be afraid to raise your hand! If you've ever been with a guide who can't quite find the words to answer your questions, you'll understand what a convenience it is to walk with a native English speaker (Dennis is from California, dude!). On top of that, he speaks fluent Russian and Kazakh. Pepper the locals with all the questions you've got. Your tour guide's an interpreter, too. Some people want a list of facts and dates, delivered in monotone - Dennis is happy to bore you to death. But he's also prepared to give you an unforgettable experience, with a sunny attitude that is sometimes rare in Almaty and an enthusiasm for the city that's infectious. "Dennis is a perfect guide." - Crina C.
"We were blown away with his knowledge of the history of the people and mastery of the Kazakh language." - Wes B. ​"An astonishing level of local knowledge." - Johnathon R.
"The highlight of my trip." - Khairul A. ​Walking season begins May 1! On this tour, Walking Almaty's most popular, we explore the city's most illustrious neighborhood, the central district known as the Golden Quarter. Full of parks, squares, and tree-lined paths, the neighborhood is also a showcase of Almaty's Soviet architectural legacy, with diverse styles ranging from Constructivist to Stalinist to Modernist. Winding our way downhill from Abay Square to Astana Square, we learn about such highlights as the Hotel Kazakhstan, the Academy of Sciences, and the Abai Opera House. Dennis has studied these places inside and out and can tell you what the guidebooks can't! Tour begins at the statue of Abay, where Abay Ave. meets Dostyk Ave., by appointment. The Green Bazaar is one of Almaty's greatest attractions, but it's easy to be overwhelmed by all the bizarre foods on display. Look at the photo above. Would you try any of that on your own, if you didn't know what it was? Dennis has made an exhaustive inventory of the goods at this iconic bazaar, and he has friends in every section who can treat us to free samples and tell us the stories behind one-of-a-kind Almaty treats, like pickled apples, fermented horse's milk, dried lizards and more! After touring the bazaar, we sit down for a meal of plov and dumplings in a cafe perched above the bustle of the market - so come with an empty stomach! Tour meets at the store Kyzyl Tan on the northeast corner of Zhibek Zholy St. and Valikhanov St., by appointment. The historic neighborhood of Malaya Stanitsa is a formerly Cossack community with a beautiful cathedral, a lively bazaar and log cabins from the 19th century, yet you won't find it on many tourist maps. A 15-minute ride on a city bus takes us to a colorful corner of Almaty. After walking here with hundreds of guests, Dennis knows all the locals, and this laid-back tour lets you interact with Almatians in a fascinating setting that feels a world away from the main tourist sites in the center. Tour meets at the statue of Panfilov, where Dostyk Ave. meets Kazybek Bi St., by appointment. 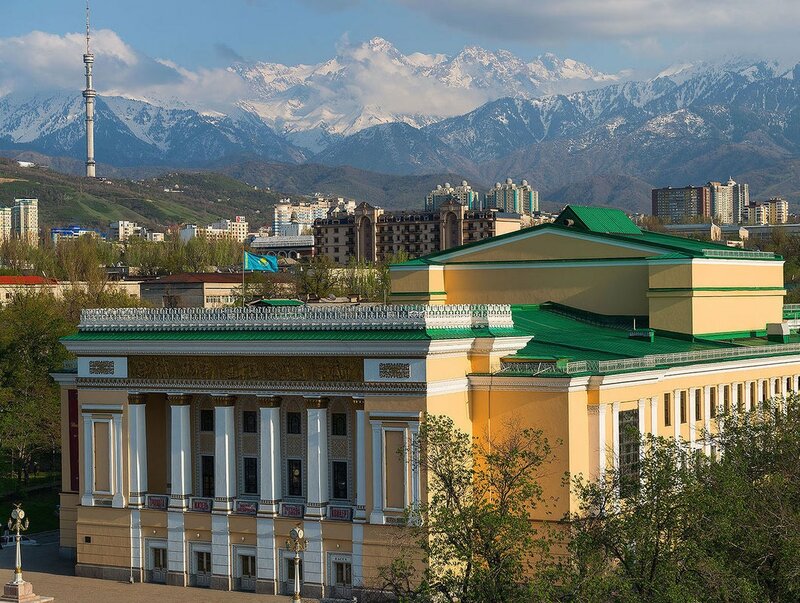 Explore the art and architecture of Almaty's Stalinist masterpiece, the epic 1957 edifice known as the Academy of Sciences. The building's four small museums have long been open to the public (though difficult to find for non-Russian speakers), but now Walking Almaty has exclusive access to the rest of the building: A yurt-shaped lobby with wild acoustics, a massive Soviet ceiling mural, stunning stained glass installations and a "winter garden" that's tropically warm even when it's -30 outside. If we're lucky, we may even get to see Kazakhstan's only Lenin mosaic, recently uncovered by Walking Almaty after 20 years under wraps. Tour meets on the steps of the Academy of Science, in front of the main entrance on Shevchenko St and Valikhanov St., by appointment. 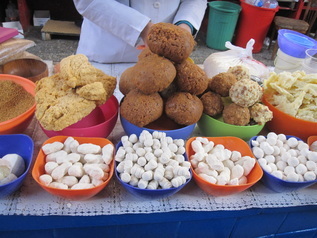 For the Green Bazaar tour there are lots of free samples, but the cost of the meal is extra, usually around 1,500 Tenge, depending on how hungry you are. For each tour, Dennis can send more info about the rendezvous point; otherwise, he's happy to meet guests at their hotels for an extra $5. The Kazakhstani Tenge is worryingly unstable, so it would be awesome if you could pay the tour price in dollars!